FORE! 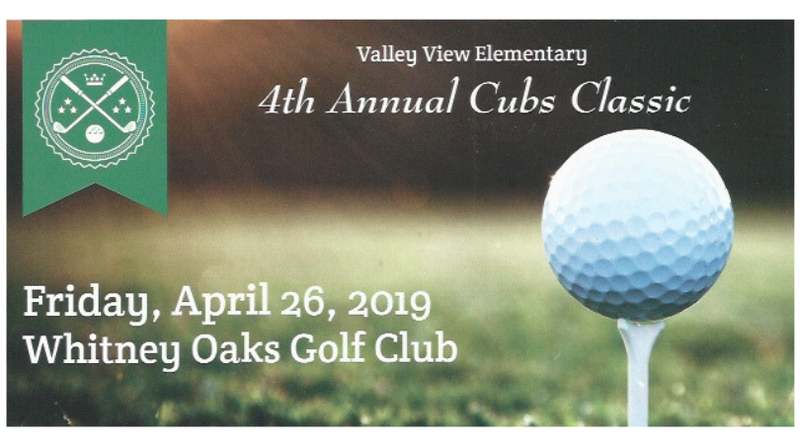 Mark your calendars now for April 26th! 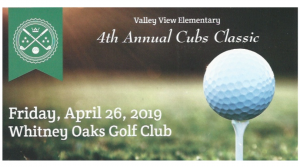 Don’t miss out on this year’s Valley View Golf Tournament – a PTC event to raise money for technology upgrades for our kiddos’ classrooms! Partner up and register a foursome for a fun-filled day of golf, games, food and more. Don’t have a foursome? Email us and we’ll help pair you up with your new BFF. The tournament is Friday, April 26 with a shotgun start at 1:30 p.m. and a taco bar party at the clubhouse at 6 p.m. Please provide a valid contact email so we can verify your registration.